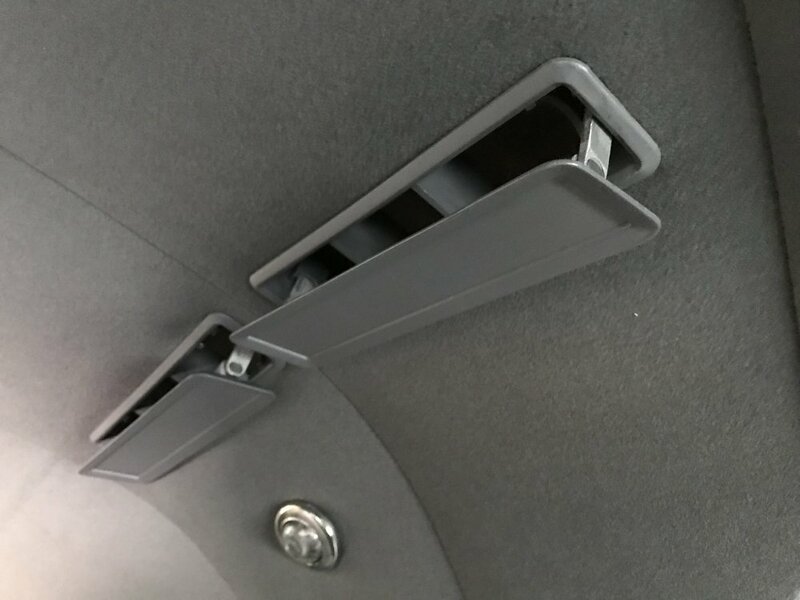 The rear A/C box could be out of a different Chrysler vehicle. Imperials of ‘55 and ‘56 had fresh air levers which are not on this unit. Most likely this unit came out of a lesser vehicle and was shipped to Italy assembled for them to install. Imperial and Chrysler rear A/C boxes had internally mounted fans. This box has an identical construction as the 1960-63 units. Of note for anybody restoring a Ghia, the fan motors have been replaced with higher speed units and are not original. 1957 was the first year for the Imperial to have a cowl mounted air conditioner (in-dash). Standard Imperials were not available with dual air conditioning. The model number on a production unit is not stamped as it is here. 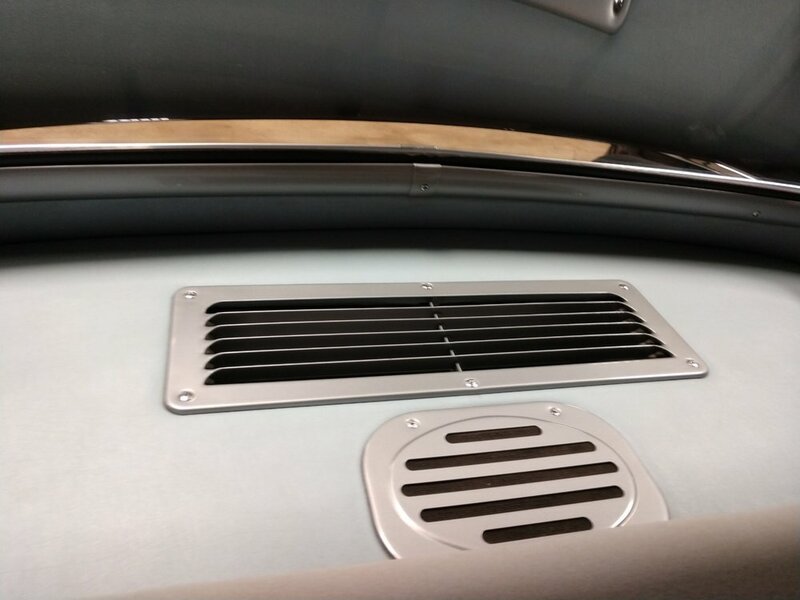 This shows the rear A/C box installed with the Ghia specific lower fiberglass duct. ’55 and ’56 limos had rear air conditioners that cooled through ducts in the ceiling. The Ghias did the same thing only in a different place necessitating the hand made Ghia only fiberglass ducts. The continuation of the Ghia only duct system up into the roof which is then hidden by a headliner. Also, you see the Ghia only headliner bows to fit inside of the handmade roof section, and a 1955-56 Imperial dome light, modified and mounted for a Ghia rear lamp. And finally just below the duct you see an eyeball reading light with custom aluminum mount. I have yet to be able to determine if this light was used on either other product. The Ghia used ’55/’56 rear adjustable vents. Originally they had an embossed foil finished insert, however I feel this is more pleasing. This is the custom cast Ghia only air inlet that is comprised of approximately 25 separate pieces which shows the level of detail that Ghia went to. Also notice the grace and finish level of the package shelf itself. The inner trim molding around the glass is also handmade. The speaker is now hidden. All Ghias came with two sets of carpet. The first was cheap nylon loop. We’ve replace that with wool. The cheap carpet was beautifully finished and equipped with snaps that held it down and these snap straps. These were used to hold the mouton in place. It also allowed easy removal of the mouton in case of bad weather. As with many European cars, the base carpet was snapped in place for easy cleaning. This replacement mouton has yet to have the edges serged. It will be done. However the original Mouton was bare as shown in this picture. Mouton is simply a dense wool sheep skin that have been electrified to straighten out the hairs and then sheared to give the appearance of fine fur. Mouton was all the rage back in the day, with Sammy Davis Jr. having an entire room carpeted in it. Today, mouton floor mats are still available in Bentley’s and other super high-end vehicles. The back of the original carpet set at the jump seat hinge. The back of an original Mouton mat with snaps. The rear door scuff plates were taken from a two door model. They were then trimmed and fitted with a couple of extra screws. Also, visible in these pictures is the polished aluminum finish panel that extends vertically down to the mouton. The trunk finish was a massive upgrade from stock. 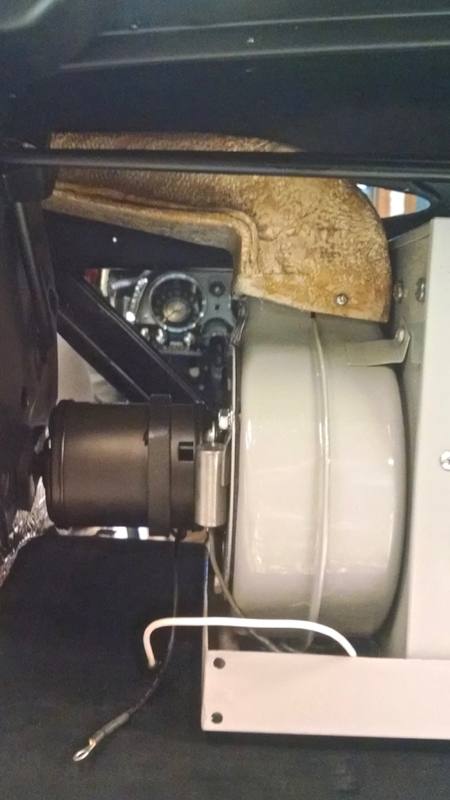 As with many high end European cars, the trimmed, fitted and beautifully finished trunk was part of the interior trimmer’s pride. Pictured here is the Ghia only zippered spare tire cover, the Ghia only trunk board which covers the air-conditioning box, and the finished inner fender wells, all with bound carpeting. Also pictured is a spare mouton mat we made up in black but the silver is correct for the car. Mouton came in either gray or tan, the two common colors in the back of the car. The brochure describes four available interior colors but I’ve only seen two in all of the Ghias I have observed. Ghias had finished trunk lid boards. The hole you see is for the stock trunk lamp. Many screws were used to retain this trunk board in place. That’s how you can tell if the trunk lid on your car is original or not. All of my cars that have a Flite-Sweep deck lid did not have these holes. Therefore my assumption that Flite-Sweeps were not put on Ghias. Not pictured here, and on the Ghias only, an extra hole was punched in the trunk torsion bar adjusting grid allowing for extra force to be applied to the torsion bars to accommodate the weight of the finish board. This is original spare tire cover showing the cheap loop carpeting that was no doubt supplied by Chrysler to Ghia. The entire trunk should be finished in this as well as the front and rear compartments. The only conclusion that I can draw in the disparity of materials used on the interior is that Chrysler was trying to pinch an unnecessary penny. 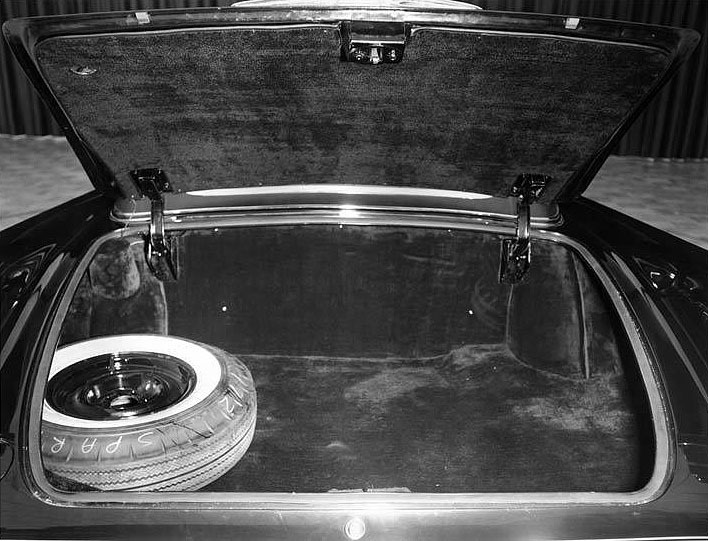 The press release photographs of 1957 show an uncovered spare tire. I own 6 Ghias and the three that are unrestored all have a spare tire cover. Later models of Imperials also had spare tire covers but without the zipper. The zipper is now brass instead of the original aluminum. The spare tire cover made of quality wool. Like it should have been in the first place. Mounted in the upper left side of the forward trunk wall, these rear A/C and heat blower resistors are similar to the ’55-’56 unit, but the mounting bracket appears to be different.